You just got some gauges at a swap-meet but you don’t know if they work? What do you do next? Test them! The fuel gauge in most pre-digital cars work by pointing a needle within a sweep range on a gauge based on variable resistance through variable resister in the fuel tank. This resistance measured in ohms (Ω) varies for each car and manufacturer. The basic principle applies, as the resistance decreases, the gauge moves to EMPTY and as resistance increases the gauge moves toward FULL. To test, you will need a variable resister (potentiometer), testing wire (with alligator clips preferred), a 12V source and a volt meter that can measure ohms (resistance). The following instructions are specifically for a 1970-1981 Firebird and Trans Am fuel gauge. The same steps may be followed for your gauges, just keep in mind that the ohm range between FULL and EMPTY may be different. You will also need to identify which leads in your gauge are positive (power source), negative ground and lead to fuel tank sender unit. 12 Volt power source – I used two 6 Volt lantern batteries (Amazon: Lantern Battery, 6 Volt 2 needed), they are light, portable and are generally safer to use for this type of testing. You will need to link them together in series in order to get 12 volts. You do this by connecting the + positive terminal of one battery to the – negative ground of the other. Variable resister (potentiometer) – To test different ohm resistances (Amazon: 100 Ohm Potentiometer ) A 500 ohm potentiometer may be necessary depending on the ohm range of your gauge. 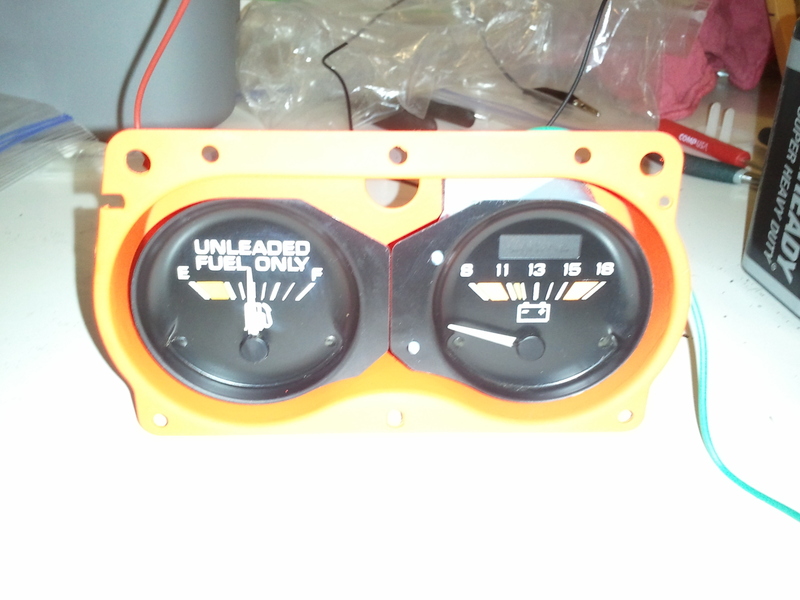 The Fuel gauge in our Trans Am reads full at 90 ohm, so a 100 ohm potentiometer is ideal for this gauge. 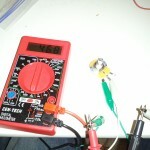 To test for zero resistance, connect the ground lead of the gauge to the negative ground terminal on the battery with a black test lead wire and the positive lead to the positive terminal on the battery with a red test lead wire . By not connecting the lead that connects to the fuel tank sender, we are telling the gauge that there is no resistance to the tank which should make the needle move to EMPTY. To test for a full tank, we now need to introduce the potentiometer into the equation. The potentiometer will have three leads, the center is the ground and the left or right lead should connect to the gauge lead that would go to the fuel tank sender. Note, the other lead on the potentiometer should not be used. It does not matter which lead you use on the potentiometer, picking one side over the other just changes the direction you should turn the dial to increase/decrease resistance. Before wiring in the potentiometer, we need to set it to about 90 ohms of resistance. To do this, turn on your volt meter in ohm reading mode and connect the center ground terminal to the ground wire on your volt meter, and the selected side terminal to the positive lead of your volt meter. Slowly turn the potentiometer until you read 90 on your volt meter. Now your resistance is setup so your gauge will read FULL. 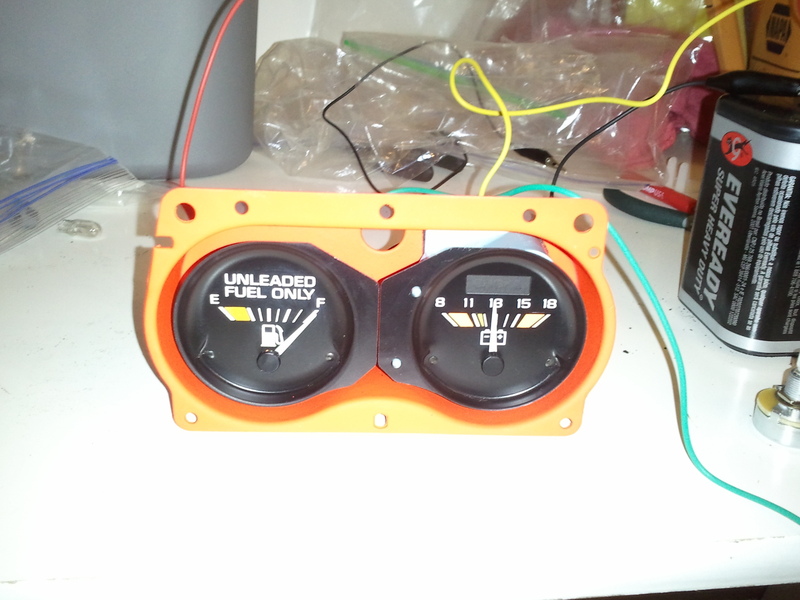 Now connect the center ground lead terminal of the potentiometer to the negative terminal on your battery, and the previously used side terminal to the fuel tank sender lead on your gauge. Your ground and positive connections made when you tested for Zero Resistance should be in place as well. Once all connected, your gauge should now read FULL. We also connected the positive terminal of the volt meter to the positive terminal of the battery to test the volt meter at the same time. You can see both the fuel gauge and volt meter are working. 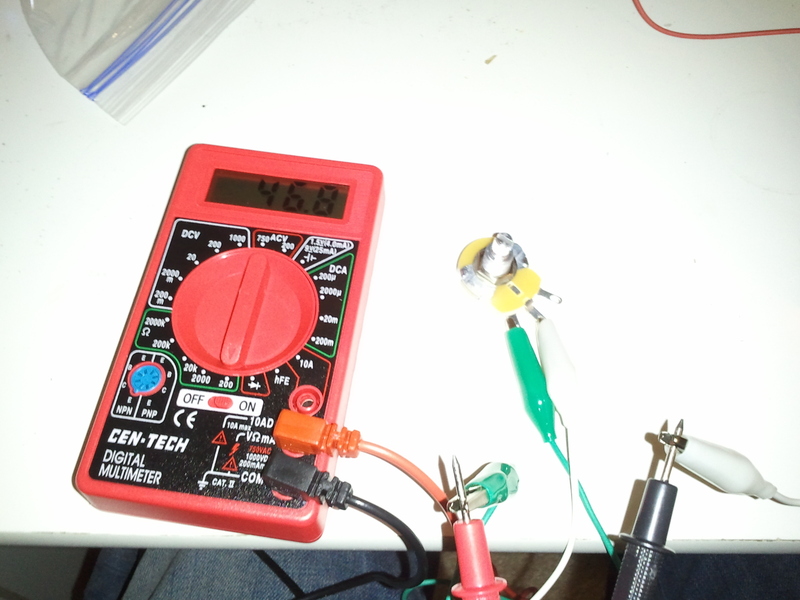 To test for 1/2 tank of fuel, repeat the last steps, except set the potentiometer to about 45 ohms of resistance. As you can see the gauge is very close to 1/2 full. This is good enough for a $5 swap-meet find! This time we did not test the volt meter. A similar approach may be used to test the water temperature and oil pressure gauges. We will cover these in future posts. You would be able to use knowledge from this post to at least figure out what ohm range your gauges read at. You should also be able to read the ohm range that your fuel sender sends when full and empty. They will either be a match or not a match. Did you ever cover how to bench test the water temp and oil pressure gauges? If so, can you post the link? Thanks! Sorry I never did follow up with a write up on how to test those 2 gauges. Over the winter I will try to make time to do it. In short, the water temp is tested exactly the same way the fuel gauges is tested. The oil pressure gauges works in the opposite direction. Pingback: Test Your Fuel Gauge | 1968 Firebird 400 H.O. I fixed my fuel gauge partly thanks to your advice. 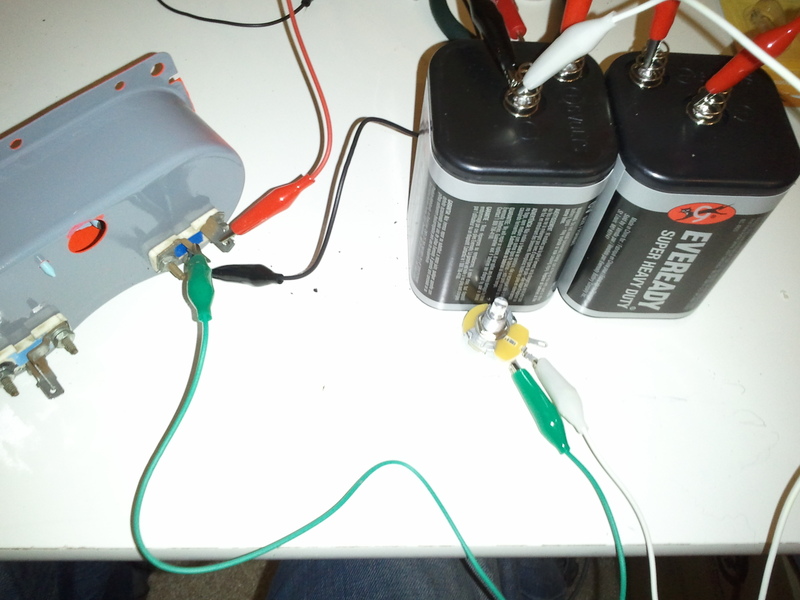 I had 3V CR2032 lying around so I taped 4 together to make a 12V power source. I could touch it to the gauge leads without any other wires. I also made a 90 ohm resistor out of a PENCIL. That took me all afternoon, but I needed it in a hurry and there were no stores to buy such a thing locally. 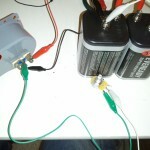 That is awesome, I never thought about the CR2032 batteries being used, makes sense! Awesome! Gauge always reads full. New sending unit was installed. Question, I suspect the unit is a 12 volt sending unit and the car is a 6 volt system. I am not sure how gauges work 6 to 12 volts. The gauge itself when it is reading the ohms should still report a sweep change. I would leaving the wire disconnected (wire to the sending unit) and also connecting it directly to power. When directly to power the gauge should read full, and when not connected empty. If it alwasy shows full then there’s something wrong with the gauge. You can power the gauge itself with a 6 volt lantern battery to confirm it is not a 6-12v problem.